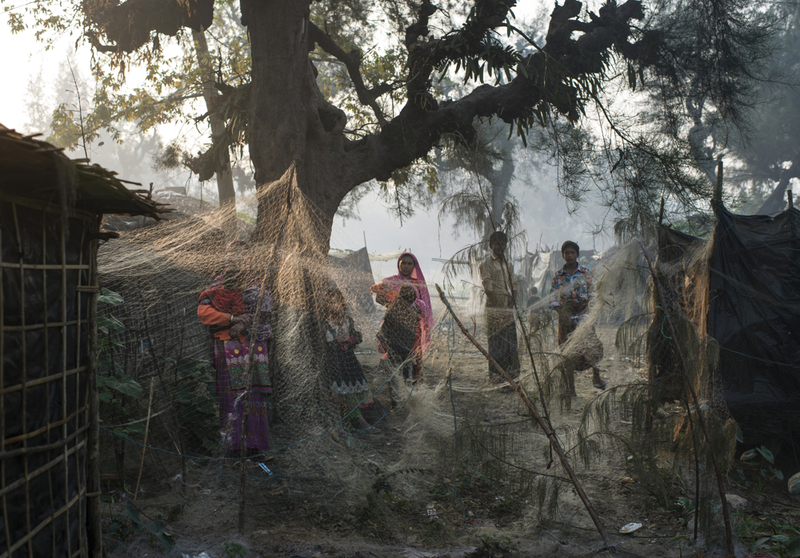 Rohingya live in an informal settlement in Shamlipur, in Bangladesh, January 10, 2016. The Rohingya are systematically marginalized, and forced into formal and makeshift camps across Bangladesh and Myanmar. They often occupy hard labor jobs, like riding cycle rickshaws, working in the ice factories, fishing, and manual labor jobs they pick up daily.